Sunny June truly kicks off the hot summer season, at least in the Northern Hemisphere. As such, the symbols associated with this month shine brightly and with a unique radiance. Perhaps this is why so many weddings take place during this time span. Obviously, it is a sunny and cheerful time of the year, making it highly solar in energy. Traditional solar symbols can be flawlessly paired with June and its joyful themes. Every month has a specific symbolic gemstone associated with it, which people born during that month call a “birth stone“. 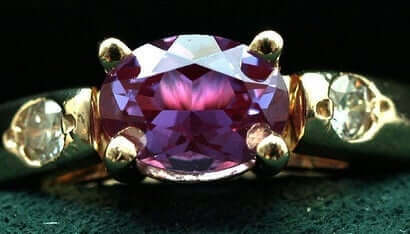 For those born in June, it is the beautiful alexandrite. The actual color of the stone varies and changes often, much like a chameleon. It can range from red and yellow to green and purple. (Read about color symbolism). However, all of the colors that this stone takes share a common symbolism: growth, energy, and vitality. Additionally, alexandrite is thought to attract and keep love in your life, as well as bring good luck and fortune. Apparently it pays, quite literally, to be born in June. Pearls are also believed to be symbolic of the month of June. Shining white pearls symbolize the purity that is symbolic in weddings. Moonstones aid in depression. The opalescence of the moonstone has obvious lunar ties, meaning traits of the moon are inherent here. Emotions, fluidity, dreams, and maternal energy are thus all connected with luminous June. Naturally, living things are also connected with the months in which they thrive in. In the case of June, there are several plants and flowers that sing its praises. The mighty oak is one example. As one of the strongest symbols in the Celtic Ogham – or mystical language of trees. Oaks are believed to symbolize strength, stability, and longevity. 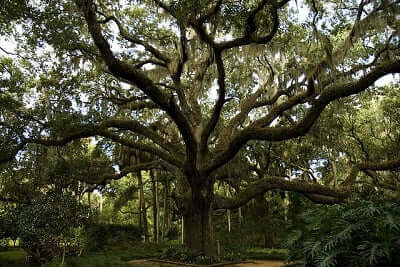 When thought of in the energetic realm of June, this tree is an obvious candidate for themes such as fertility, life, and the manifestation of desirable outcomes. Roses are also on-board for the theme of desires, as they are symbolic of passion, sensuality, and love. When matured, this flower expresses a satisfied fulfillment of desires. 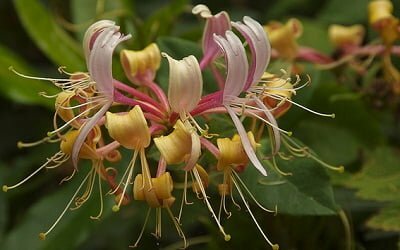 The sweet honeysuckle is another flower that is symbolic of love, attraction, and rebirth. However, this is due more to its mesmerizing fragrance than its physical appearance. In nature, honeysuckle has been shown to increase confidence and promote good health, making it a fine choice for a mid-summer pick-me-up. As June is filled with solar symbols, it seems appropriate that the animals who symbolize the month of June have highly masculine energies. Take the bull, for example. Most would agree that this powerful creature is the ultimate representation of provision and procreation. It was often depicted on wedding gifts in the past in order to inspire fertility and wish luck in successful reproduction. 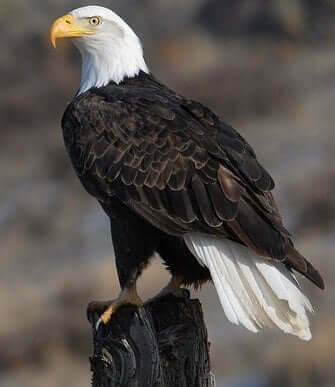 The soaring eagle is another dominant animal that comes up in discussions of June. The Native Americans celebrated this powerful creature during the month of June, and it was also synonymous with Zeus, head of the Greek gods. As an archetype of strength, power, clarity, and light (even if that light does come in the form of angry lightning), Zeus was worshipped as a symbol of summer. He was also the father of the gods. Perhaps this is why many countries celebrate Father’s Day in June. Litha, more commonly referred to as the summer solstice, is also celebrated in June (in the Northern Hemisphere). As the sun warms the Earth, so, too, does it fire up our heart’s and passions. The warming sun increases the intensity of more than just humans: animals are also affected. Surely, this is a time for celebrating the life-giving rays of the sun and the positive, joyful mood that it puts all living things in.